At Reiter & Walsh, P.C., we understand that finding resources for all the aspects of cerebral palsy can be difficult, especially when a parent has just received their child’s diagnosis and is commencing the search. We want to help parents find the information they need and feel secure knowing that their child will be cared for, regardless of the circumstances. In order to help parents begin their search for information on cerebral palsy and other potentially concurrent diagnoses, we’ve written a short list of Arkansas-specific resources. We hope that parents, friends and other loved ones will find them will find them useful in their search for answers regarding their child’s cerebral palsy. How do I get financial or medical help for my child with cerebral palsy in Arkansas? How can I get my child educational help or early intervention in Arkansas? Where can I find employment resources for individuals with cerebral palsy in Arkansas? Cerebral palsy is a motor disorder and disability that can range from very mild to very severe. Cerebral palsy stems from a brain injury that occurred shortly before, during, or after birth, and is non-progressive, meaning that it doesn’t increase in severity as the child ages. It can manifest itself in a wide variety of physical symptoms – writhing, repetitive motion, tight muscles, or physical limpness, among other signs and symptoms. While some cases of cerebral palsy do not have an identifiable cause, in other cases, cerebral palsy is strongly associated with medical malpractice during pregnancy, labor and delivery. 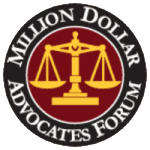 When it comes to cerebral palsy caused by medical malpractice (ie, medical mistakes), prevention entails preventing the complications or conditions that caused or allowed the medical mistake. In medical care, there are certain standards that medical staff must follow if they are doing a particular procedure correctly. Medical errors occur when medical staff deviate from these established standards. Usually, the prevention of medical error is a combination of good communication, proper training and accountable medical systems. If you’re concerned about your child’s development, and believe that a doctor’s, nurse’s or other medical professional’s mistake led to your child’s injuries, the first step in securing justice and care for your child is reaching out to an Arkansas birth injury attorney. 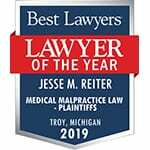 Reiter & Walsh ABC Law Centers focuses solely on birth injury cases, concentrating on obtaining justice for children who sustained brain damage due to medical mistakes. Unlike other firms, which might work with material as disparate as medical device malfunctions, slip-and-fall accidents, and adverse drug reactions, the birth injury attorneys at ABC Law Centers have the extensive and focused knowledge needed to successfully litigate these complex cases. 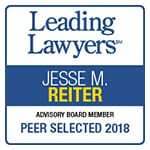 We have a history of numerous multi-million dollar verdicts and settlements, and our attorneys have won many awards for their outstanding work, including being listed in U.S. News and World Report’s Best Law Firms listings, BestLawyers, SuperLawyers and the New York Times. We can provide you with a free and confidential case evaluation and explain your legal options. If you decide you would like to pursue legal options for securing your child’s future, we can go through the possibilities and help bring you peace of mind, knowing your child will be cared for – no matter what. Depending on the state a family is in, available cerebral palsy and disability-related services can vary significantly due to resource constraints and differences in the way that certain programs are administered. While the following list is by no means comprehensive, the birth injury attorneys at Reiter & Walsh ABC Law Centers hope that it will be useful as a starting point in the search for cerebral palsy information. One of the best ways to find services for cerebral palsy and associated disabilities is to begin the search at certain national organizations (such as United Way or United Cerebral Palsy), and search for local branches of these national organizations in a specific geographic area. For example, while United Cerebral Palsy (UCP) is a national organization, they have an Arkansas division as well as several branches in Little Rock, Springdale, Harrison, Fort Smith, and other locations. Such organizations generally provide multiple services, including employment, housing and educational support. Because these organizations provide such a wide range of services, we do not list them under each individual subheading below. Additionally, one of the best ways to find local resources is to contact local city, state or regional Departments of Human Services, which often have trained staff that can assist with specific issues and who can help parents with referrals to obtain certain services. Because cerebral palsy and the conditions associated with it are disabilities, there are governmental programs on the state and local levels that can help the families of children with disabilities get the resources they need. These programs include Supplemental Security Income, Medicare and Medicaid programs, and programs run by the Office of Human Services such as the Division of Developmental Disabilities Services. Arkansas 211 provides a searchable database of governmental services for child care, education, emergency services, food, health, housing, and employment, among other categories. Many children’s hospitals and other large facilities have services specifically tailored to the needs of children with disabilities such as cerebral palsy. These programs often provide these children with rehabilitative and adaptive services, equipment and therapy. Arkansas Children’s Hospital provides specialized pediatric neurology care, including programs for epilepsy treatment, neurodevelopmental and neurobehavioral help and seizures, and a spasticity clinic, among others. ARKids First! provides expanded healthcare coverage for children in Arkansas. UAMS Pediatrics’ neurology program has a dedicated Pediatric Neuroscience Unit, as well as staff specializing in epilepsy, spasticity, headaches, and neurodevelopmental outcomes, among others. They also provide clinical testing such as EEG, electromyography and other tests. UAMS also has a developmental pediatrics program geared towards helping those with severe disabilities reach their maximum potential. The Arkansas Physical Therapy Association provides a listing of physical-therapy related resources; parents can also reach out to this organization regarding available physical therapists in their area. Ascent Children’s Health Services, headquartered in North Little Rock, Arkansas, provides children with developmental or behavioral conditions to live life to the fullest, providing nursing services, physical, occupational and speech therapy, nutritional and wellness counseling, neuropsychology, behavior therapy, and audiology services. Children’s Therapy Team provides listings of specialty doctors, along with whether or not they accept Medicaid. The team serves Fayetteville, Springdale, Rogers, Bentonville, Bella Vista, Farmington, Elkins, Prairie Grove, Winslow, and Huntsville, Arkansas. While not as numerous as in other states, Arkansas has a sizable number of non-profit organizations devoted to helping children and adults with cerebral palsy learn, thrive and enjoy recreational and educational opportunities. These nonprofits can provide care ranging from child care to adult care to residential services. Oftentimes, these organizations are often great resources for parents, as they can point parents towards other service providers they network with. ChildCare Aware of Northwestern Arkansas provides child care referrals in Northwest Arkansas and the River Valley. The Arkansas Disability Coalition of Little Rock assists families and individuals with all types of disabilities by providing information, support, resources, and training. The Special Needs Resource Project is a state-by-state database of special needs resources ranging from government programs to private service providers to education and employment resources. Early Intervention Services are available for children ages 0-3. These services aim to provide rehabilitative, occupational and therapeutic care to maximize a child’s potential and help them succeed later in life. These programs involve the development of an Individualized Family Service Plan (IFSP), which aims to help your child move smoothly into school. The Arkansas Division of Child Care and Early Childhood Education provides Head Start and Early Intervention programs, as well as other services for young children. The Allen School serves children 0-5 with developmental disabilities in Little Rock, AK. Once children are school age, parents, educators and other professionals work together to develop an Individualized Education Plan (IEP). Resources for IEP planning are usually found on the school-district level, so parents should consult their local school district’s special needs program administrator. Depending on the level of an individual’s disability, different programs are available when they complete schooling. Often, places of higher education will have supportive programs for individuals with disabilities who wish to continue their education. For those seeking employment, ‘supported employment’ and ‘supported living’ programs are available to teach pre-vocational skills and provide a safe living environment. Individuals with more severe disabilities may have the option of day programs or residential communities, often provided through referral by governmental organizations to nonprofits. The Arkansas Adult Learning Resource Center provides services for adult education, transitional programs, job coaching and advocacy services, among others. Where can I find employment or housing resources for individuals with cerebral palsy in Arkansas? In Newport, Arkansas, the Arkansas Center for Independence provides individuals with developmental disabilities with tailored services ranging from supported employment to total assistance for individuals with severe disabilities. The Arkansas Support Network provides direct, in-home care for adults with developmental disabilities, as well as camps children with disabilities, vocational programs for people with disabilities: supported employment; a school-to-work transition program for high school kids; a drop-in center that includes art and literacy classes, and Workbridge NWA, an intensive, 70-day job training and placement program with an associated retail store work site. The Arkansas Increasing Capabilities Access Network (iCAN) provides resources for obtaining Assistive Technologies for home, work, school, in the community and for recreation. The Elizabeth Richardson Center (ERC) provides comprehensive disability services to Northwest Arkansas, operating child development centers in Farmington, Fayetteville, Huntsville, Springdale, and Siloam Springs. The Center also provides adult services, including vocational training, Supported Employment/Job Placement, life skills training, community involvement, residential options and recreational activities. Snap4Kids Arkansas provides a listing of resources for individuals of varying disabilities, including visual and auditory impairments, motor and cognitive difficulties.